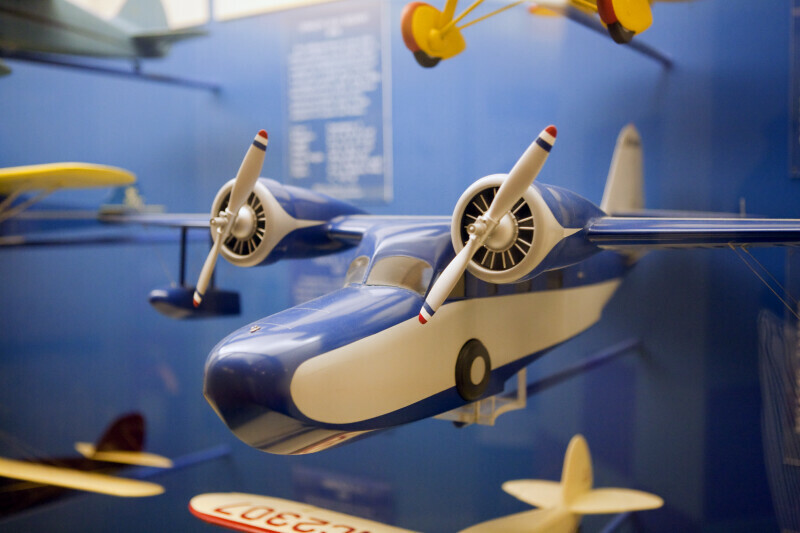 Scale model of a Grumman G-21 Goose (1939) on display at the Smithsonian National Air and Space Museum. The Goose was Grumman's first entry into the civil market. During the Second World War, this rugged amphibious aircraft was used by the United States Navy, Army Air Force, and Coast Guard, with a number still operating in commercial roles around the world today. WARNING: You are about to download a 20.0 MB TIFF!